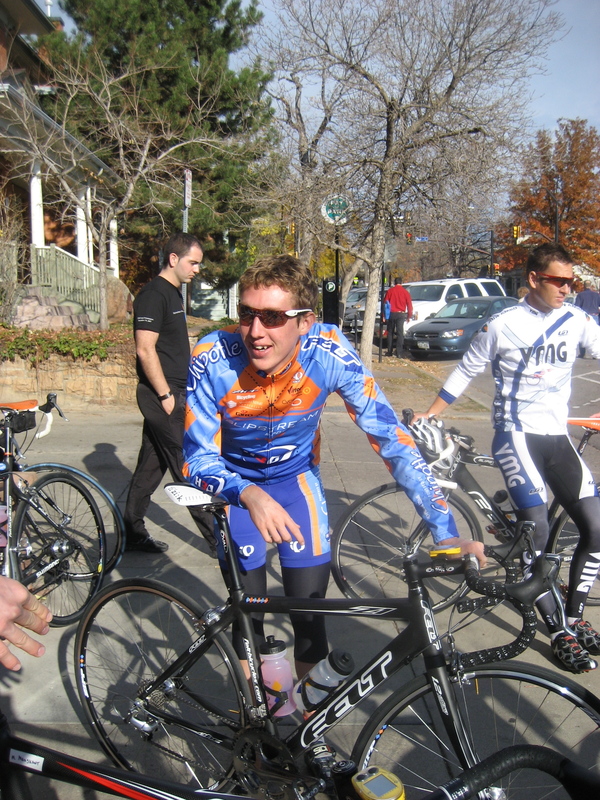 Dan Martin is Slipstream?s 21-year-old climber. The son of former British pro Neil Martin and nephew of Tour de France, Giro d?Italia and world champion Stephen Roche ? cycling pedigrees don?t come much better than that. Last week he made his professional debut at the Tour of the Mediterranean. After a strong ride on Mont Faron, the hill that sits above the coastal town of Toulon, he lay just outside the top 20 overall. On the final day he missed the main split as the peloton broke in two and lost that position but at the end of the week he reflected on his first outing in Argyle. Here is the first edition of his blog? First race over. That?s it and I suppose I should say ?job done?. It was a lot of fun. The biggest factor was the sheer speed of the run-in of each stage. It?s just fast. No other way to describe it. The Mont Faron stage was crucial, obviously, as the whole general classification was based on that 15-minute effort. But no one sees the rest of the stage. There wasn?t a single kilometre of flat. It was up and down all day. And as there were no real breaks, it was flat out racing all day. Being a climber I was pretty comfortable going upwards, which I was well happy about. But going down. Wow. I was just following the line of the guy three riders in front, thinking ?if he can get round there, so can I.? The descent to the bottom of Faron was special as the first people on the descent would hit the foot of the climb first. It meant it was basically a downhill race to get to the climb first. The climb was tough. My directeur sportif told me to ride my own pace, which was hard because it meant letting the race ride away from me. I must have caught ten guys in the last two k, including quality riders like Leon Sanchez, so I guess it paid off to take it easier at the start. Happy? Well, I always aim to win and although that?s an ambitious target in your first pro race, they?re only blokes on bikes, so why not aim for the top? I?m very happy with the progress. To be around the top 20 on the Mont Faron stage with what is average form is cool and hopefully positive for the future, especially as I seemed to be able to handle the bunch finishes ? not just the speed but the pushing and shoving. I finished pretty well up on the two sprint stages where it all split so for future years when I am a gc contender, well, I guess all experience helps?. Roll on the next race ? the Trofeo Laigueglia on February 23 and Tour du Haut Var the next day.